American Psychopath 2020. American joke for 2020. 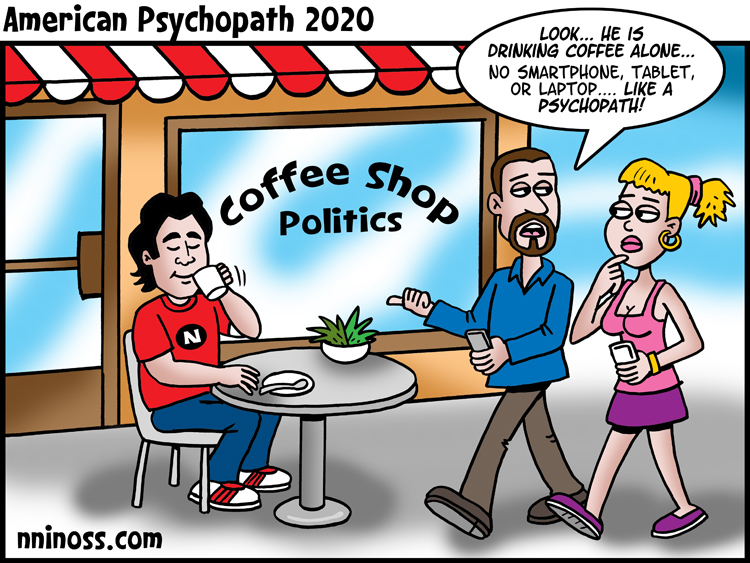 Coffee Shop Politics. Joke for 2020. Looking like psychopath in 2020. Facebook Addiction. LinkedIn Addiction. Twitter addiction. Mobile addiction. Social media addiction. If you REALLY want to be called crazy, brew your own damned coffee at home and save 1000%.